This is another scarce item in my collection. 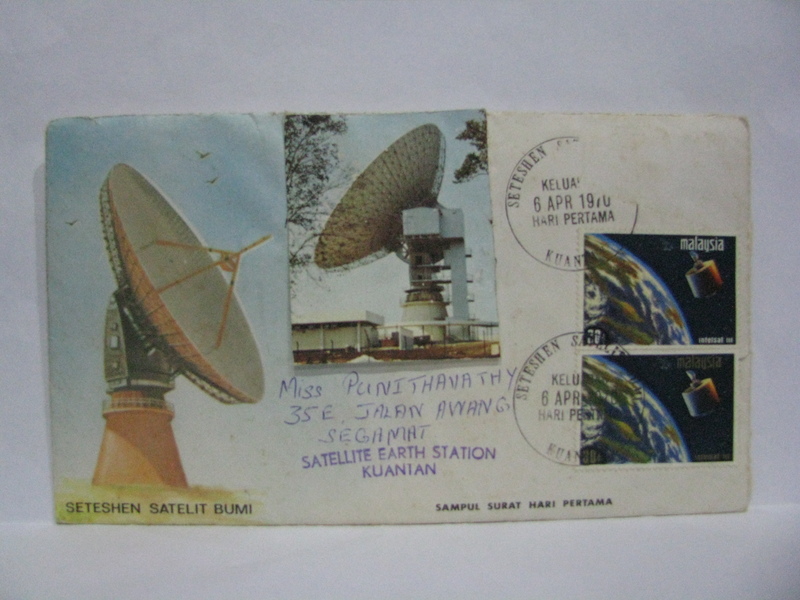 A FDC cancelled at the Satellite Earth Station in Kuantan. In over 20 years, I came across only 4 pieces in the market. On 27 April 2013, I came across a very tattered FDC sent by a person who might have been working at the station itself. What caught my attention was the contents inside the FDC. 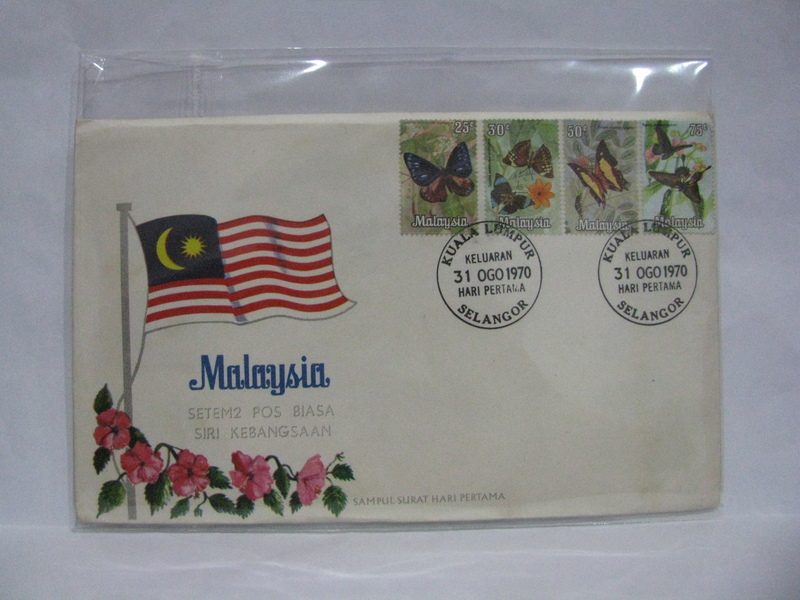 I am quite excited to share the contents even though it is not philatelic. 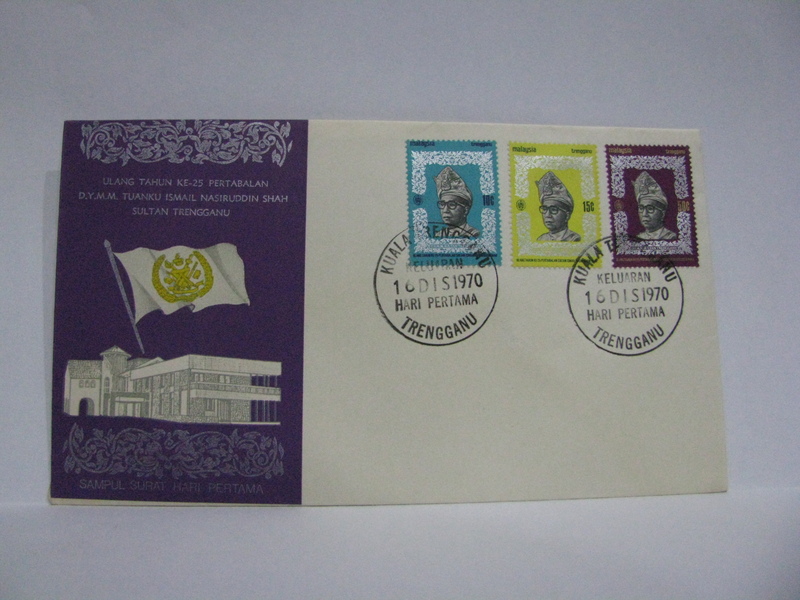 Here is the FDC with the 15 cents stamp missing. 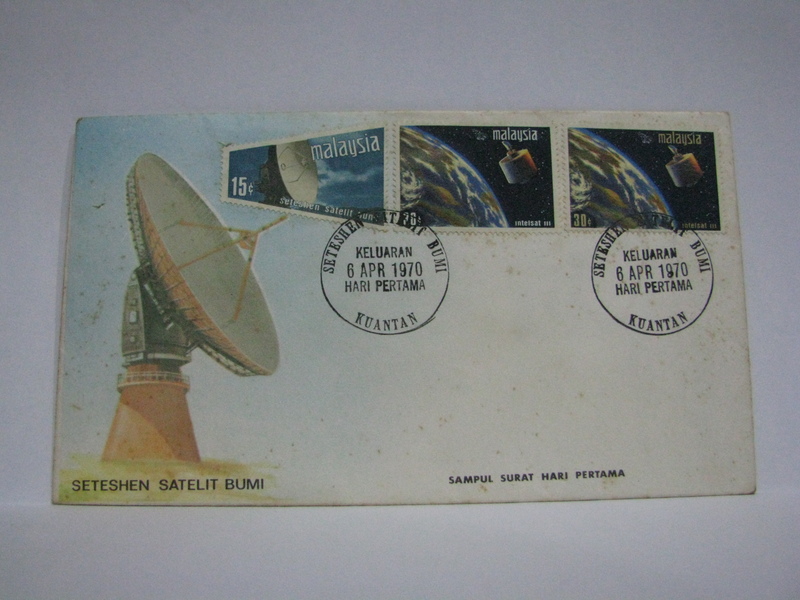 There is an actual colour photo of the Satellite including the location cachet “Satellite Earth Station Kuantan”. 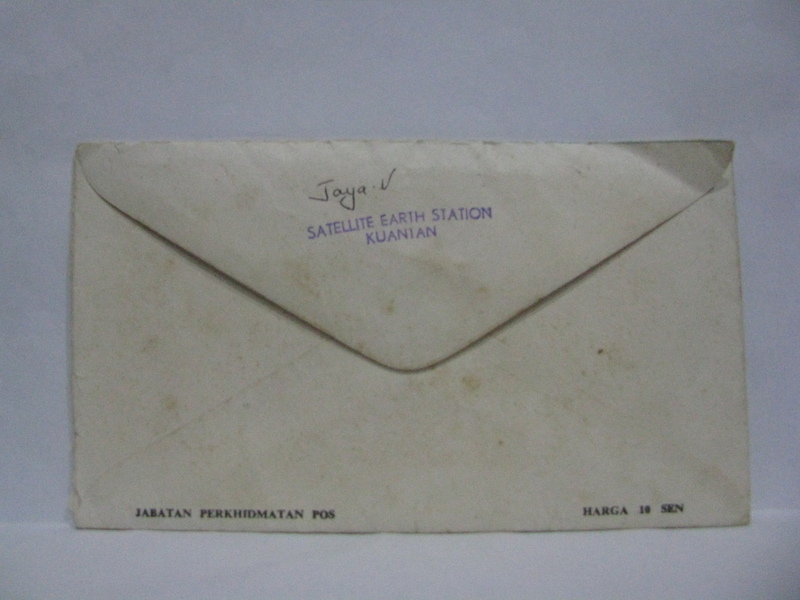 The back has the same cachet along with the name of the sender. 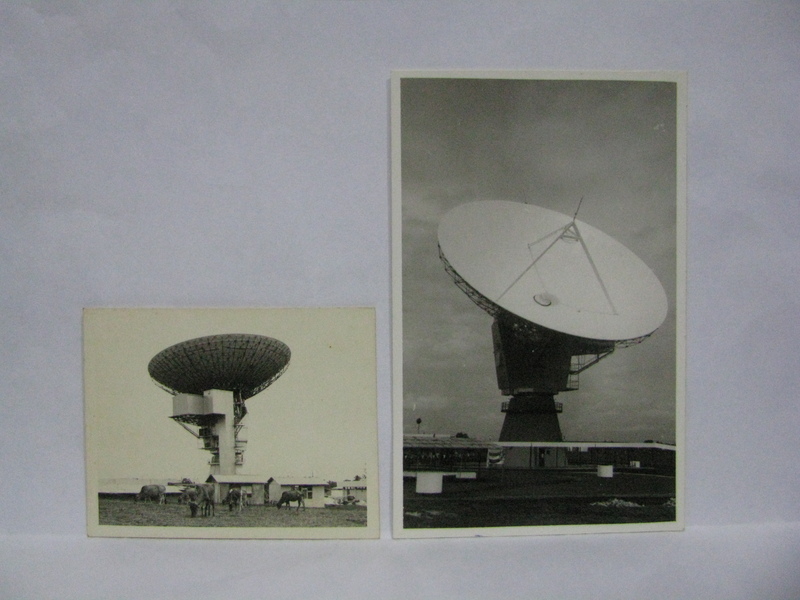 The return address was not necessary as the Satellite Earth Station is hard to miss (even today)! 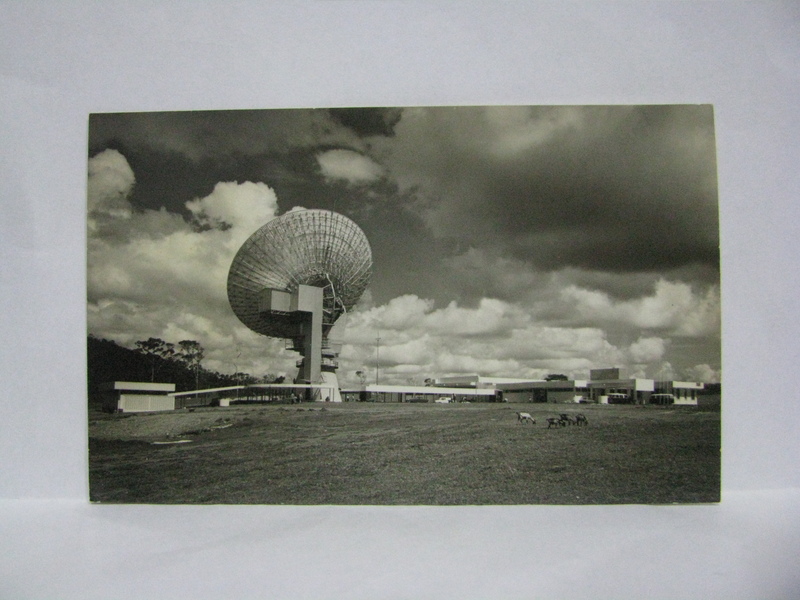 Inside the FDC were actual black and white photographs of the station. Notice the banners? Probably the preparation for the opening! Well, some cows and goats are grazing nearby. 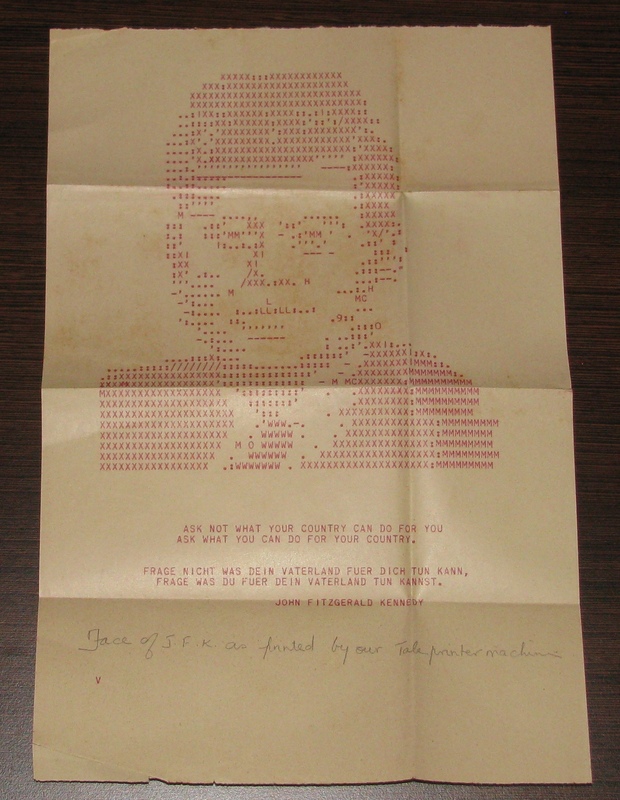 And this takes the icing off the cake, a teleprinter “art”! It is considered an advanced equipment in those days! I loaded a high resolution image so that you can also enjoy the finer prints. Thus even though the FDC was not up to scratch, the historical aspect made the purchase worthwhile. The FDC was cancelled in Kuala Trengganu. This FDC is quite rare.